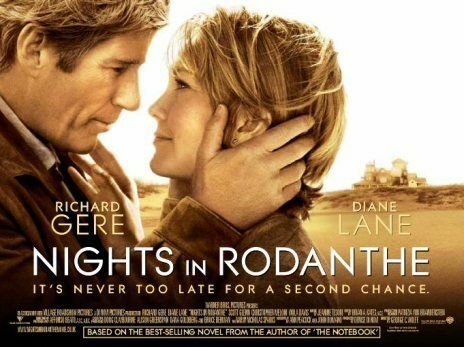 They say “love moves in mysterious way.” In this story about finding love in the most unexpected moment and place, Nights in Rodanthe teaches us that when love knocks, we have a choice of opening our doors and embrace it and its accompanying hurts, or let our doors remain closed but still be hurt. 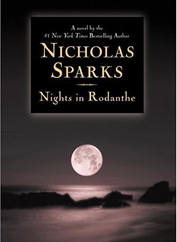 Nights inRodanthe is a romantic novel by best-selling American author Nicholas Sparks in 2002. The book was adapted into a major motion picture in 2008 by Village Roadshow Pictures and Warner Bros. Directed by George C. Wolfe, the movie starred Richard Gere and Diane Lane. Plot. 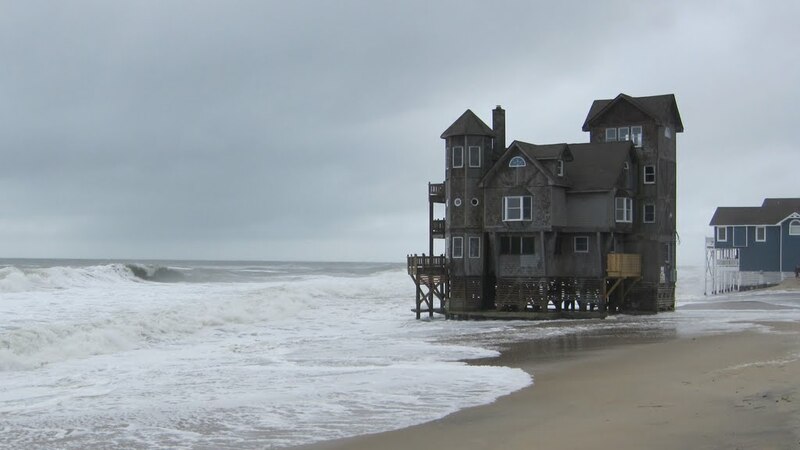 After some incidents that weigh heavy on her, Adrienne Willis grabs an offer to tend an inn in the small coastal town of Rodanthe, North Carolina. The only guest for that fateful weekend is Paul Flanner, a successful fiftyish surgeon who has recently sold his practice and wishes to travel to South America. Unknown to Adrienne, Paul also carries with him his emotional baggage – a failed surgery which ended tragically and a failed relationship with his son. 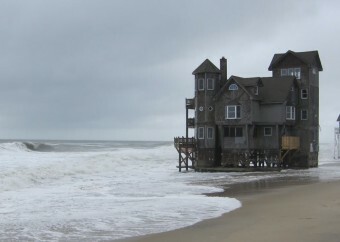 A major storm is forecast and soon arrives in Rodanthe, eventually washing the beach and threatening to wreck havoc on the house. But with it comes an opportunity for healing and redemption as two souls open up and reach out to each other. In the days and nights that follow, Adrienne and Paul rebuild both the house and their lives, and consequently, feel compassion and love for one another. But Paul must leave to go after his son and join him in his medical clinic in Ecuador. With deep agony, the two separate with a promise of writing to each other. The days stretch and the letters keep exchanging. However, on the evening that they will finally reunite, Paul does not show up. Adrienne can only shed bitter tears when she discovers from Paul’s son that his father had died in a flash mudslide in Ecuador. Book. 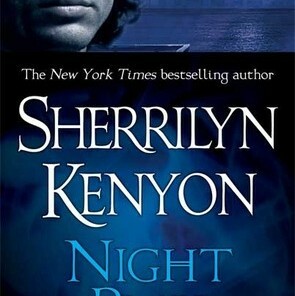 The novel was one of the best-selling books in 2002. 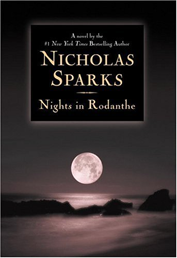 Not that it mattered but it was the first book by Nicholas Sparks that I have read. I instantly fell for it and I found myself reading Sparks’ works ever since. The book is only 240 pages long but it took me a long time to finish reading it. It is full of pathos right at the start. The pain and sadness are built gently until an overwhelmingly heart-breaking climax ensues. But there is also a flicker of love and joy in every page so, until an ending of hope and second chances is offered. Movie. Unfortunately, the film adaptation was a major disappointment with a number of distortions from the original story. The book is set in 2002 with a flashback of the whole romantic story in 1988. The movie happens all in the present time and a fast forward in the end. The novel’s Adrienne Willis is a divorced mother (was left by husband in 1988 for a younger woman) and has a daughter (who has lost a husband and is raising three daughters) coping with depression. On the other hand, the movie’s version is still on the verge of divorce and has a rebellious teenage daughter. Among these two, the novel provided a more credible backdrop for the connection between the mother-daughter relationship and the fated romance. 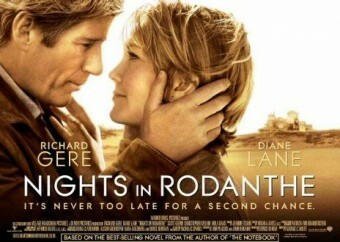 In a time where emails and text messages are the major couriers, the film sounded unconvincing. I suppose the writers failed to deliver the luster and appeal found in the book. It is not as heart-rending or sad as I anticipated. All throughout the movie, I was waiting for the magic moment when I could finally jump and say “That’s it!” but it never came. Even Richard Gere and Diane Lane (including James Franco as Paul’s son) with all their calibre and charm are not able to salvage the mess. However, the movie is not a total disaster after all. It has some good points though, such as the breath-taking location and scenery, inspiring cinematography and cool soundtrack. The scene in the end, where Adrienne has a vision of galloping horses on the beach (signifying a final farewell and moving on), is unique to the movie and which I particularly remember so well. Verdict. Obviously, the book is gazillion times better than the movie. Though the film version generally received a thumbs-down from critics, it was a blockbuster hit. In the end, if you read the novel first, you will get disappointed with the motion picture. If you watched the movie first, you might not get interested with the book. The choice is yours.